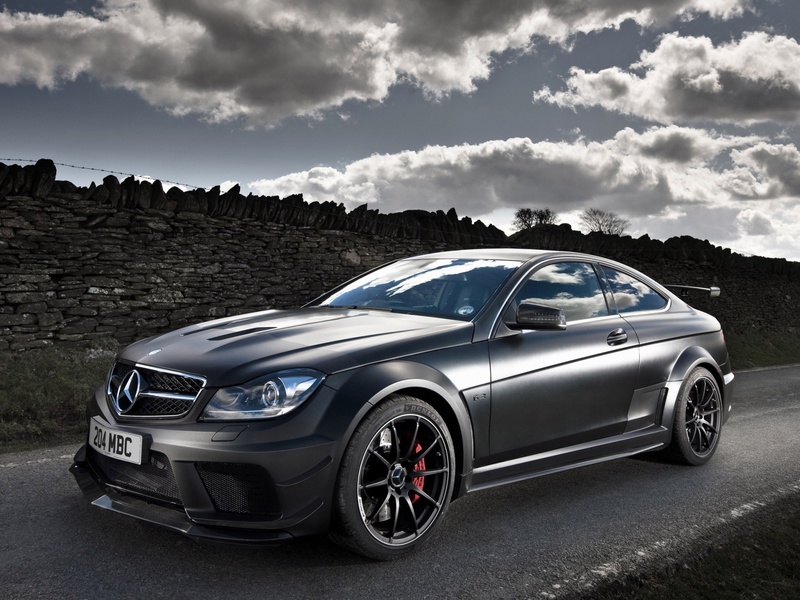 So far, AMG versions of the Mercedes C-class have struggled to beat the migh ty BMW M3. But with the new C63 set to debut with two extra cylinders and a solid power advantage over its most bitter rival, don’t be surprised if Mercedes emerges victorious fromth e next scrap. Visually, it’s going to be pretty much as you’d expect – chunkier and more muscular than the standard car, with a lower stance and bigger wheels. It will launch as a saloon, andc oupe and estate versions will follow. But it’s under thes urface that the new C63 gets what could turnout to be its killer advantage. BMW has opted to switch the new M3 and M4 to a turbocharged 3-litre straight-six, but AMG is sticking with V8 power. 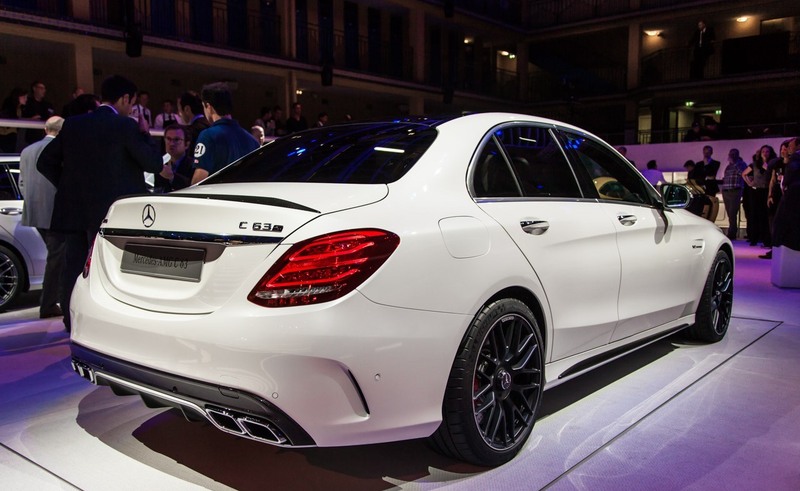 The C63 will give the division’s new ‘M177’ twin-turbo 4-litre engine its debut. It’s down on capacity versus the old ‘M156’ 6.2-litre naturally aspirated V8, as seen in the outgoing C63 and the soon-to-retire SLS, and although power levels won’t rise substantially, you can be assured the new car will enjoy a healthy margin over the M3 and M4,which will have 425 bhp. We’re expecting the Mercedes to produce between 470 and 500bhp, meaning it will maintain (or even increase) the advantage the previous car enjoyed over the V8 M3. We can also be certain that torque will rise fromth e 442lb ft of the outgoing C63, and will peak far lower down the rev range. We have to switch to turbocharging because we’re looking for the compromise between fuel efficiency and power output. But it has to be aV8, never a six-cylinder. The noise is what you feel everyday when you start the engine, when you hit the throttle. We all hear it – it’s where the emotion comes from. The new engine sounds good. It sounds different because every engine always sounds different. But it’s still aV8 because AMG stands for that sound–our customers expect that, it’s one of the main reasons they choose an AMG. Although not officially confirmed, the new car will continue with the familiar seven-speed MCT Speedshift gearbox, which combines a planetary-gear automatic with a wet clutch. Moers also says that, despite the availability of four-wheel-drive versions of the new C-class, the AMG version will only be rear-wheel drive. This is despite the fact th at AMG is now selling far more 4matic versions of its E- and S-classes in markets where buyers are offered a choice. Apparently there isn’t sufficient demand for an all-wheel-drive C-class to justify the cost and complexity. And although the standard versions of the new C-class can’t muster much evo-type excitement, there’s no doubting that the new car’s extremely stiff and light structure gives AMG’s engineers a great basis to work from. We can also safely anticipate that some of the new car’s high-tech features will be present, such as location-based gearchange programmes, potentially used in conjunction with circuit mapping. Although the new V8 will make its debut in the C-class, it’s set to spread throughout the AMG range. As the C-class’s position in the hierarchy means it will get a less powerful tune, it’s safe to conclude there will also be brawnier versions, the engine ultimately replacing the twin-turbo5.5-litreV8 that powers the more senior end of the line-up. engine’s capacity loses any link to th e number, but we’d be very surprised if it didn’t.